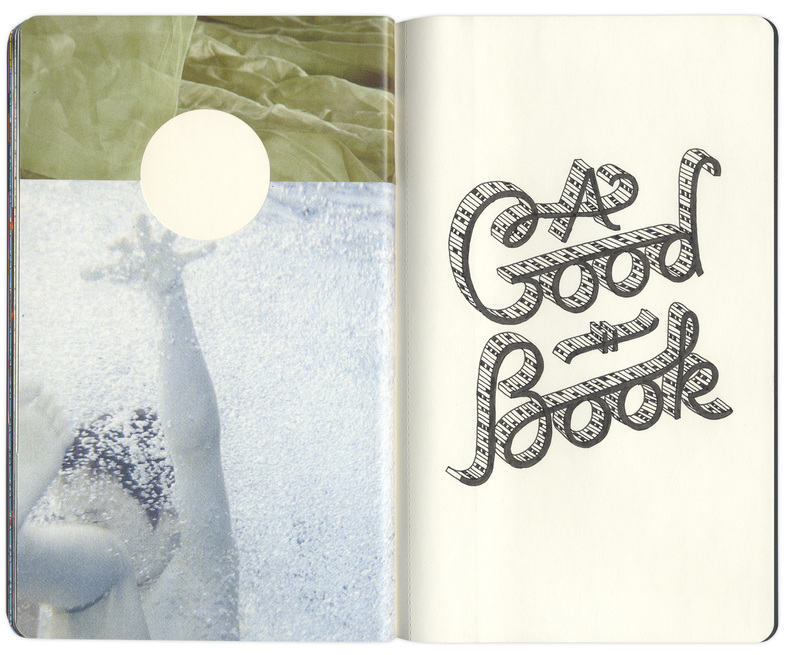 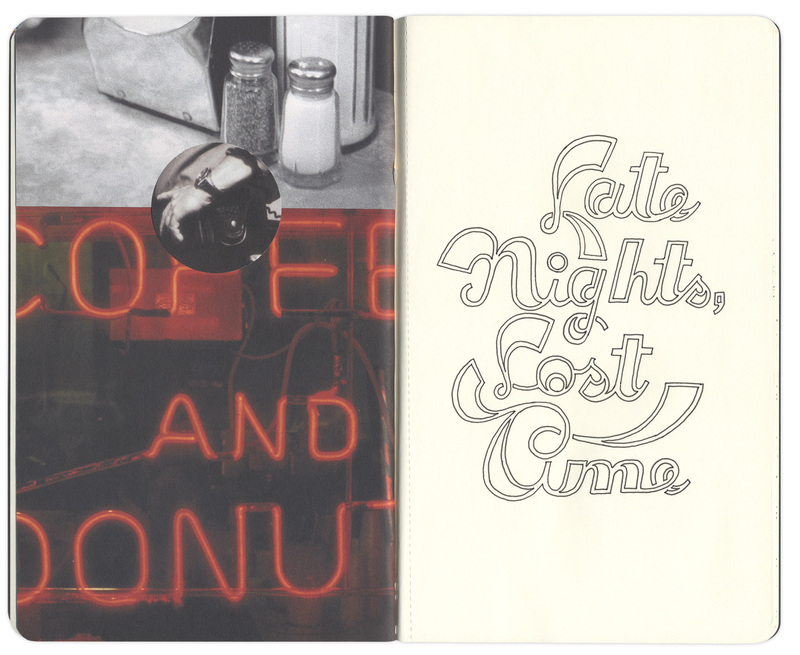 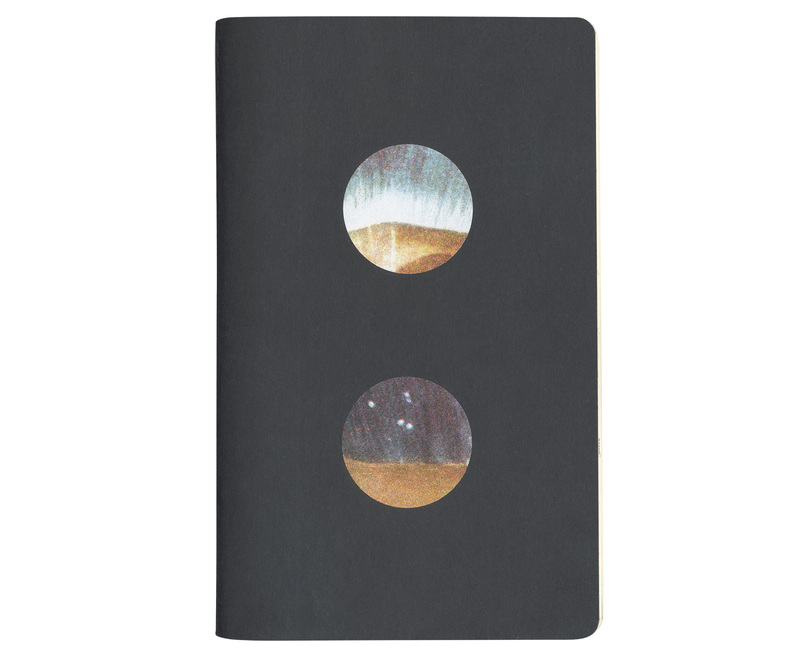 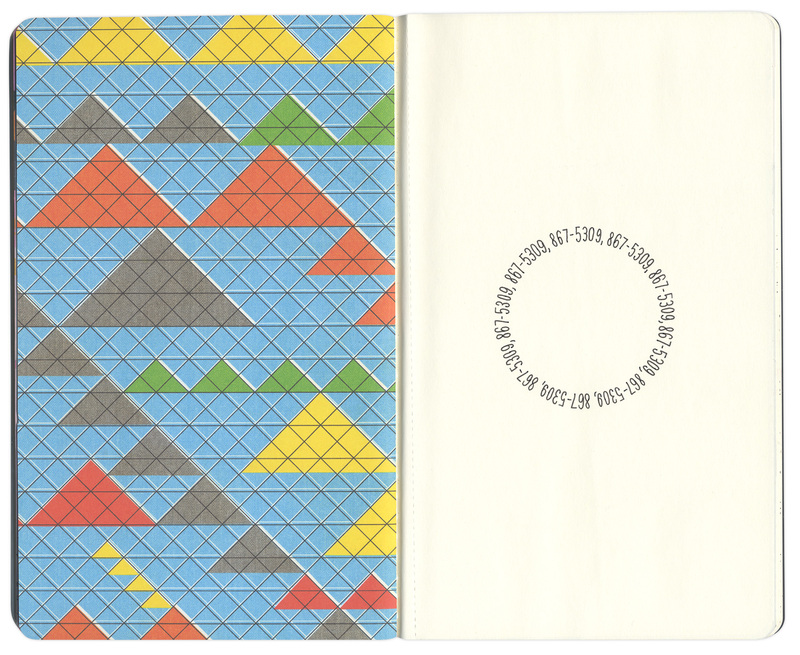 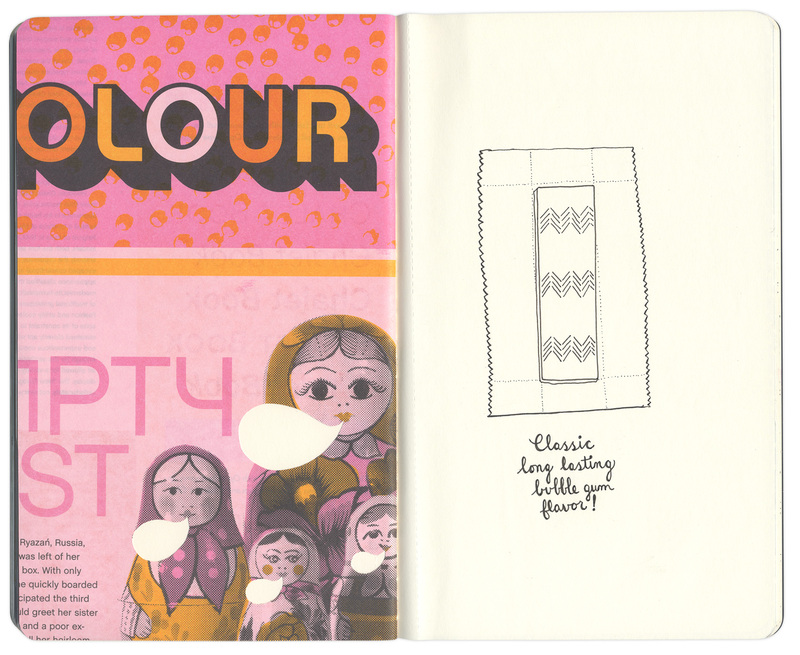 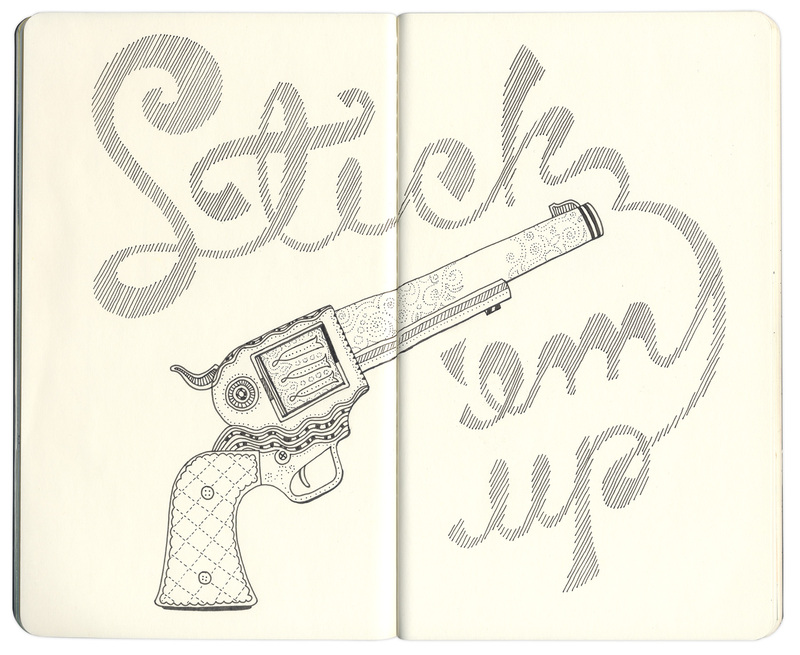 This sketchbook was part of the 2011 Art House Co-op traveling library of sketchbooks. 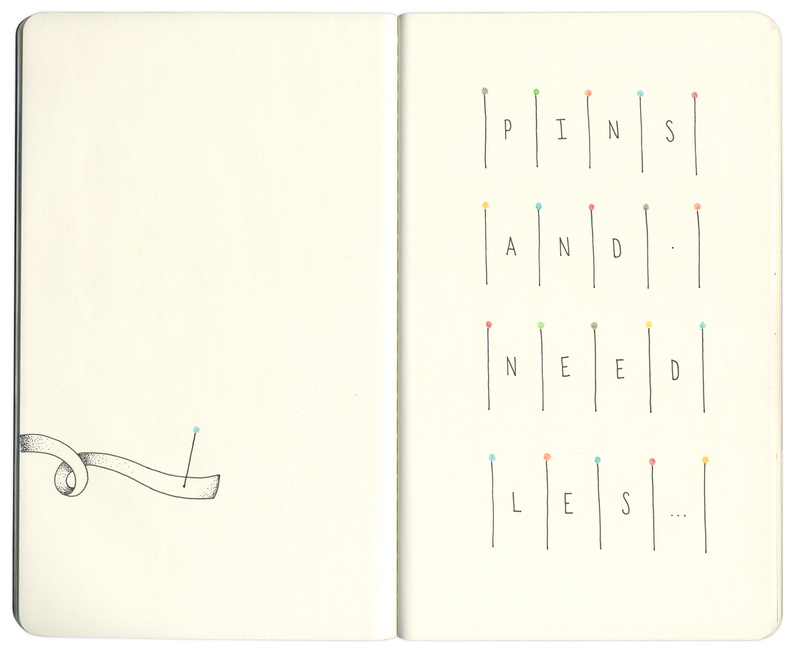 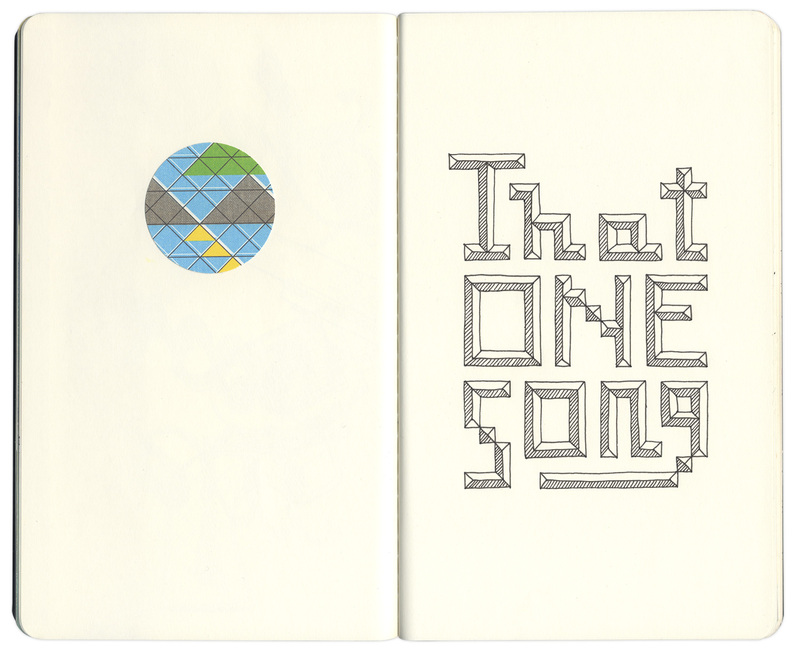 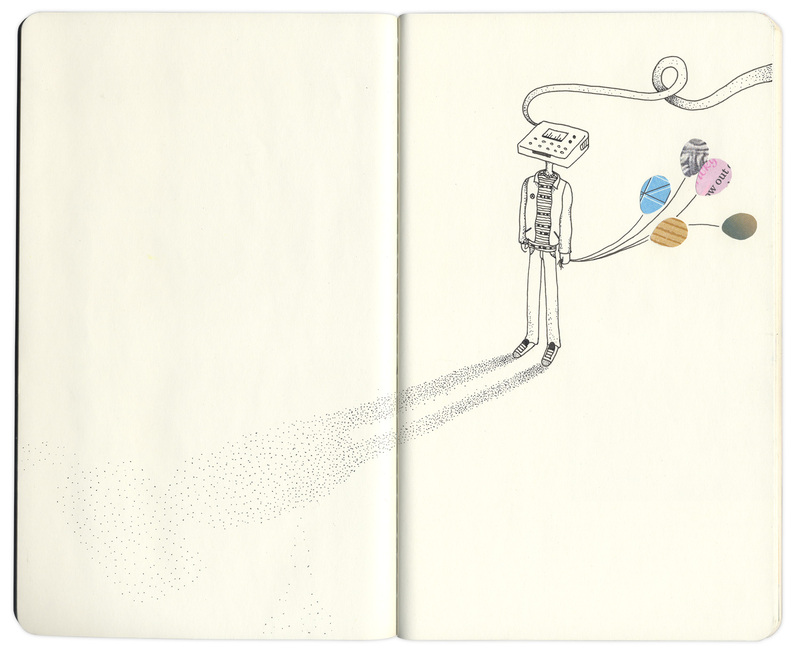 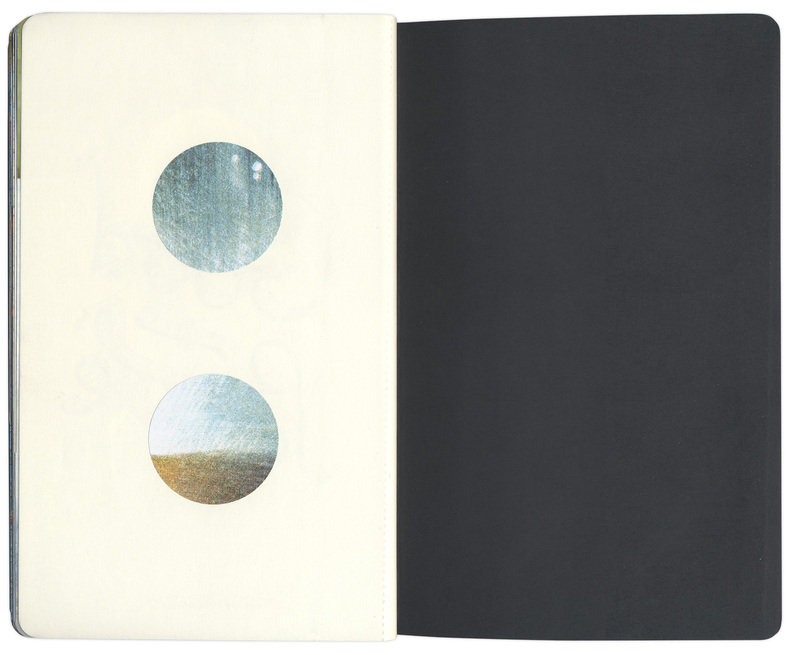 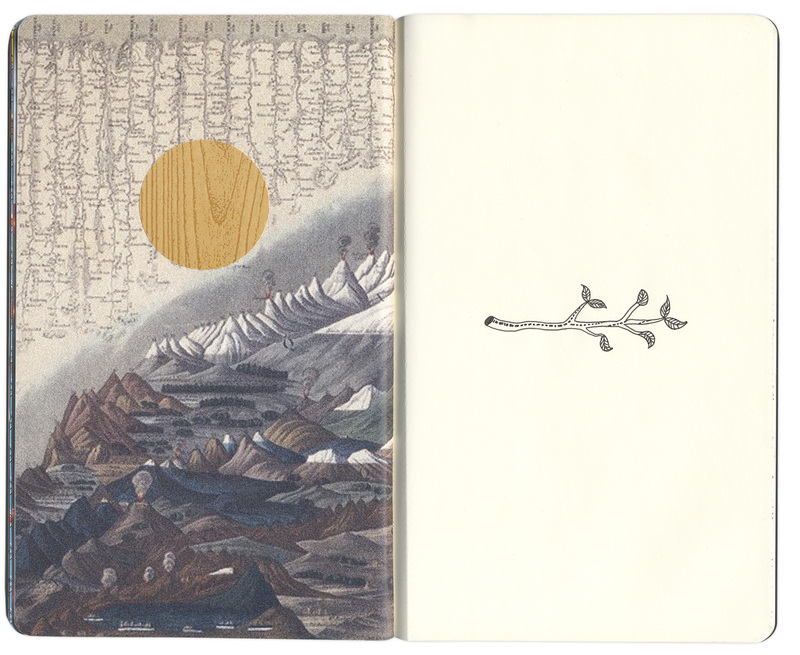 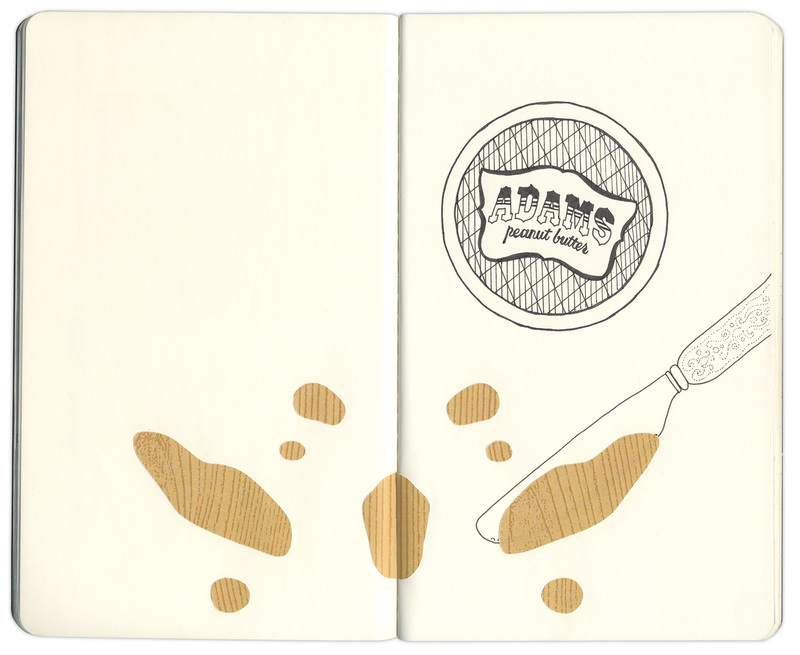 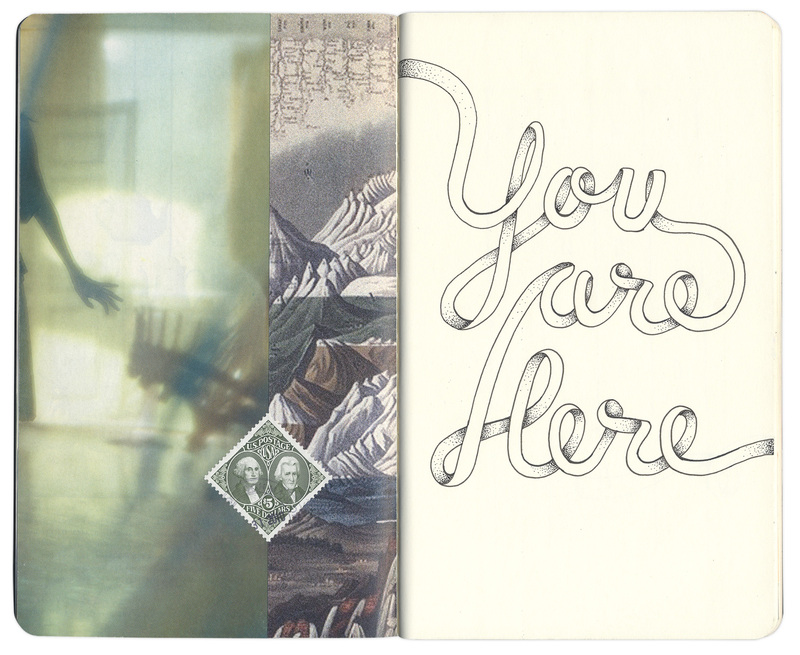 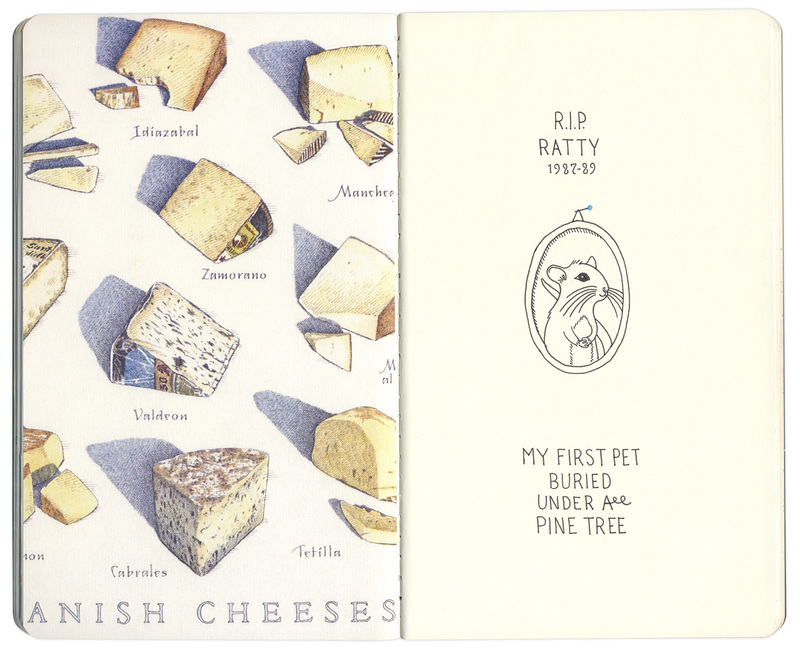 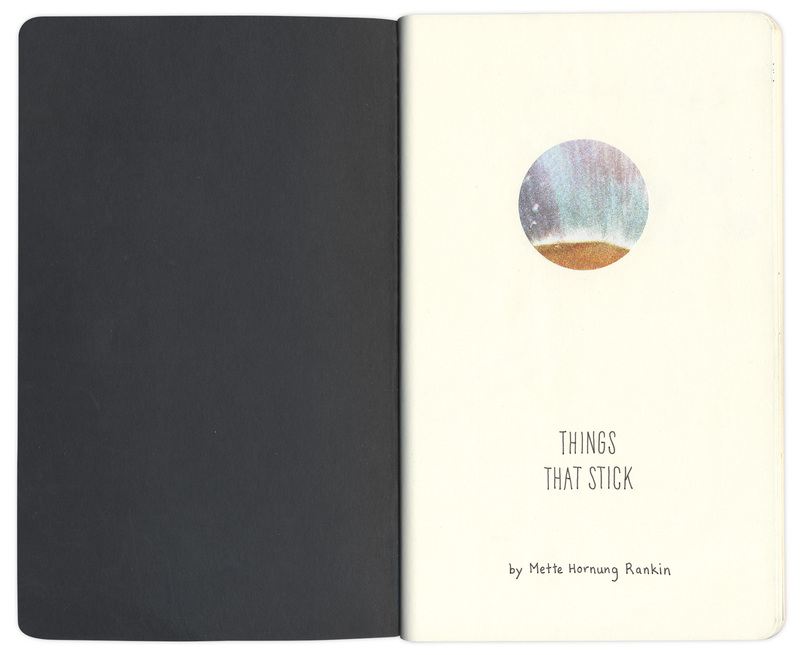 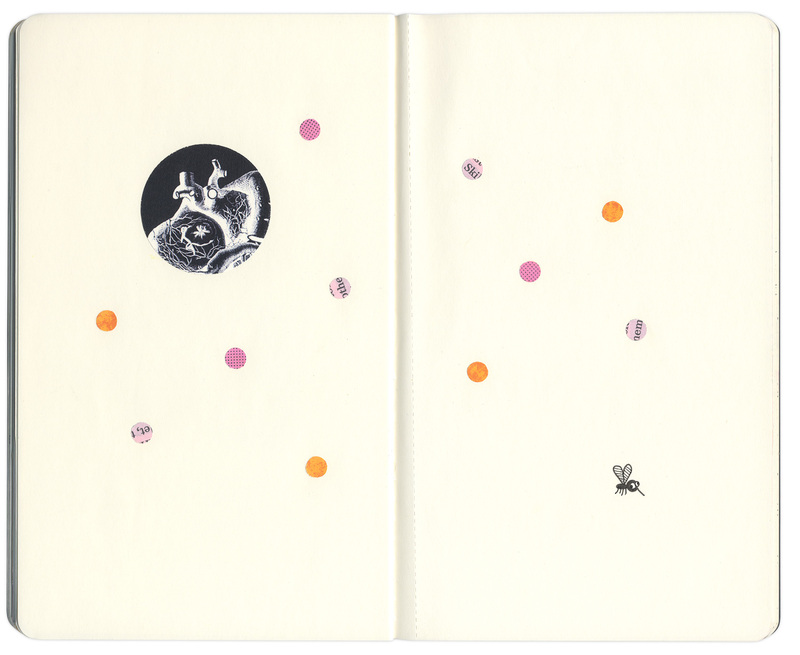 Created based on the provided theme ‘adhere to me’, each spread is an interpretation of the title “Things that Stick”. 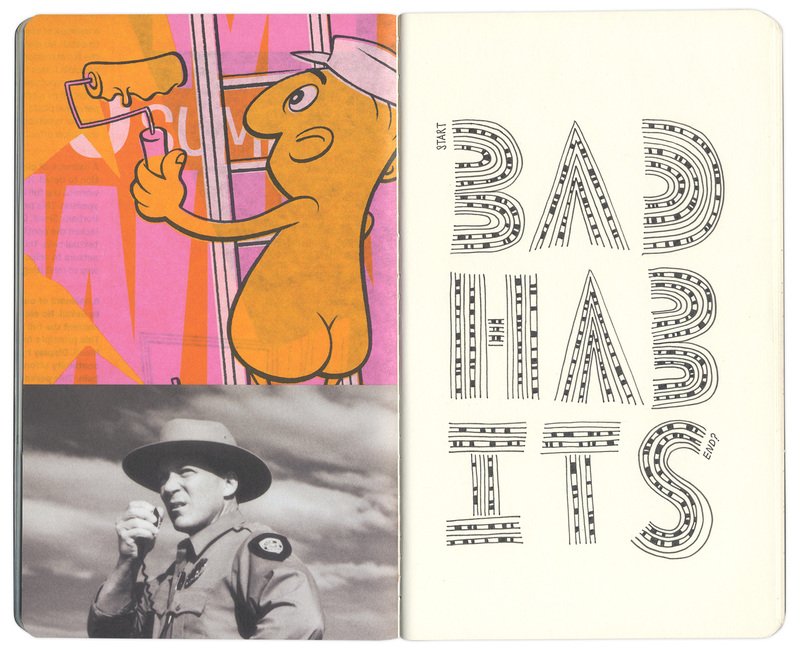 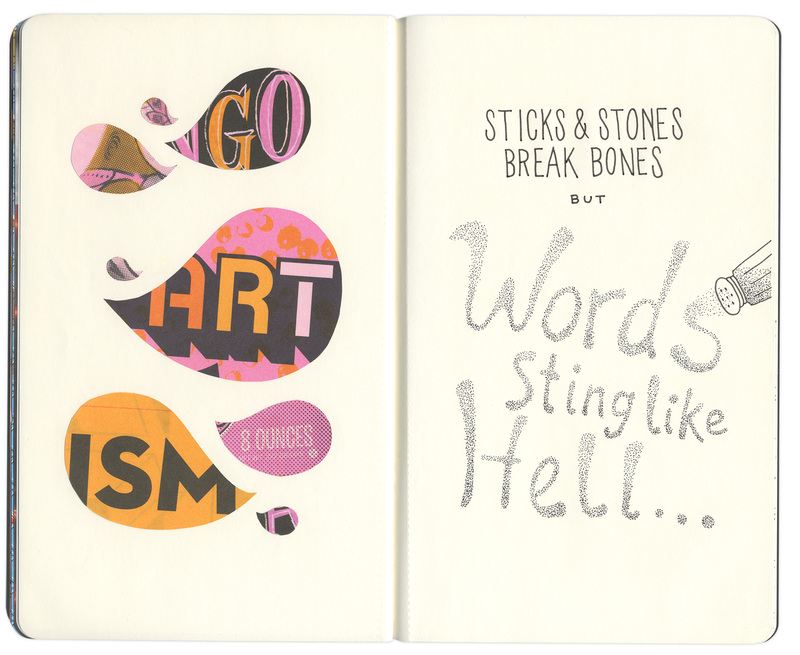 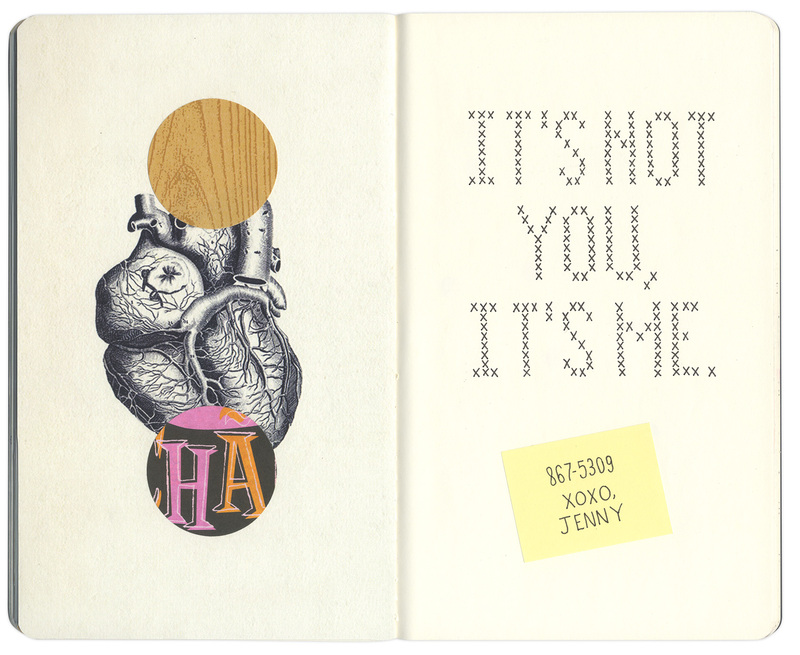 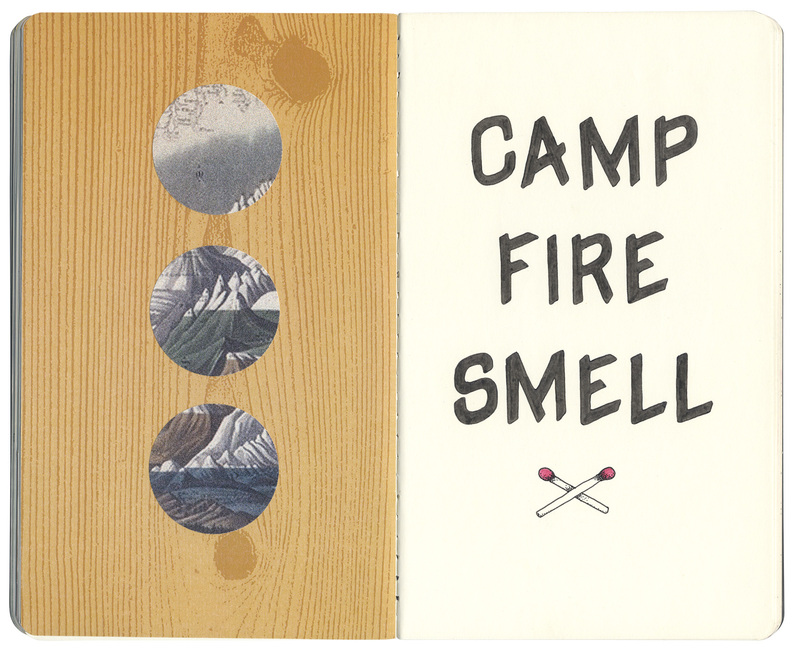 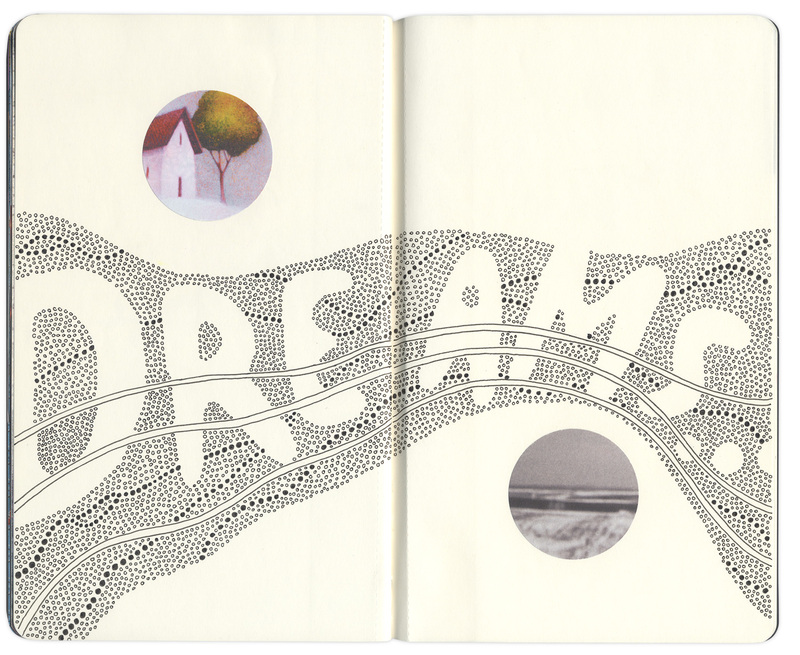 A combination of illustration, hand lettering, and found collage build on the theme from page to page with various visual connections throughout the book.